The Glossary section is the most recent. Search engines are so close to being caught up with us as to make this update unnecessary. Keep an eye on this space for future developments. ...even if you just want to point out a typo. ... your full-service screen printer. From the bustling jewelry industry of the Attleboros in Massachusetts, Graphic Images printed nearly everything by hand. We soon branched out to cover many different aspects of screen printing, adding techniques, machinery and technological advances as they became available. Today, Graphic Images prints nearly anything you could think of. 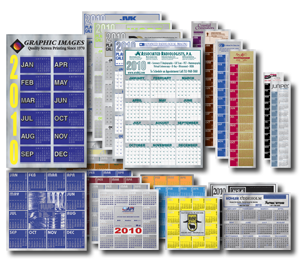 We print pins and jewelry, decals, bumper stickers, posters, point-of purchase displays, signs, magnetic and vinyl truck lettering and signs. We print T-shirts, sweat-shirts, hats, banners, bags and more! For all your screen printing needs and more, Graphic Images is here for you. With a fully-featured art department with design staff and knowledgeable customer support staff, we can develop your design from concept to finished product, or work with your existing design. Visit us today, or call us for a quote or consult. No minimum orders! 24-Hour turnaround available. Call us today. Re-usable Durable 1/4" Coroplast Signs can be used from tournament to tournament. Weatherproof Clear Plastic water tight and re-sealable sleeve fits standard letter-size (8.5" x 11") paper right out of your ink jet printer. Print minutes before the event! Take sponsors right up to the tournament! With Our Cart and Golf Ball Signs you can easily print out the sponsor logo sign and slide it into the water proof re-sealable sleeve. 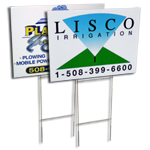 Each sign includes a heavy duty 9 gauge galvanized metal "H-stake". Advertise on-site while you work. © 2011 Graphic Images. 75 Washington Street, Plainville, MA 02762. All rights reserved.